At 7Sage, we have worked with hundreds of law school applicants from China, South Korea, and many more countries, and we have assembled the following FAQ to help international students gain admission to America’s top law schools. *“English-speaking countries” generally means the United States, United Kingdom, Australia, New Zealand, and Ireland, often Canada, and occasionally Singapore, South Africa, Pakistan, and India. Can I get out of the TOEFL/IELTS test requirement? Although I attended college in Country X, and although my first language is not English, I would like to request a language test waiver. My studies/profession require extensive use of the English language, and I feel confident that my application will demonstrate that I speak and comprehend English more than sufficiently to fully participate in your law school community. What do the TOEFL and IELTS consist of? Should I take the TOEFL or the IELTS? Most schools that ask you to take an English language test ask for TOEFL scores. We recommend that you only take the TOEFL unless you are applying to a school where the IELTS is preferred to the TOEFL. What’s a good score on the TOEFL or IELTS? Selective LLM programs tend to look for a score of 100-110 on the TOEFL, while less selective schools tend to look for scores in the 85-95 range. Only a few law schools allow the IELTS, and the more selective schools (USC, Minnesota) look for a 6.5 to 7.0, while the less selective schools look for a 5.5 to 6.0. When should I take the TOEFL or IELTS? The TOEFL or IELTS requirement can delay your application, so we strongly encourage you to register for the test as soon as possible. If you take the test early, you’ll also have time to retake it if necessary. 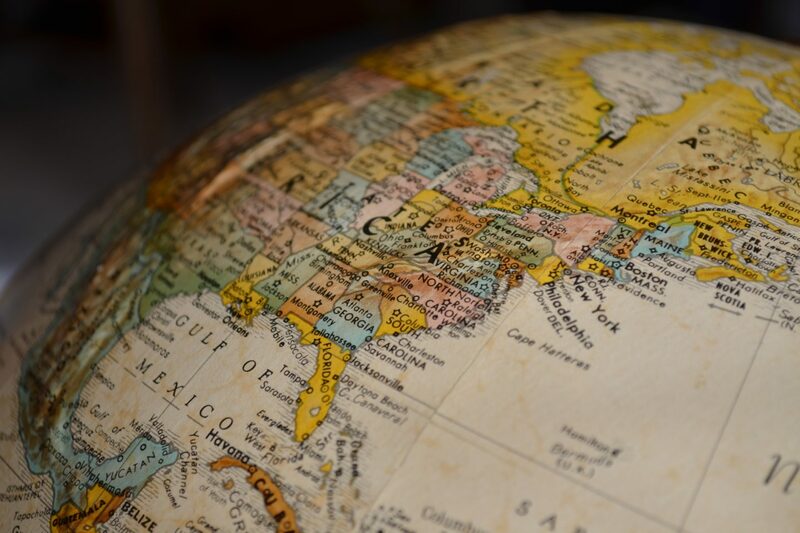 Whether you live in the United States or abroad, you can find the locations, dates, and prices associated with the TOEFL here. You should register for the TOEFL at least a week before the test; if timing is an issue, you can register for a test-taking place only four days in the future, though you may be charged late fees. Test administrators recommend registering three to four months prior to your test date. You can register for the IELTS here. How do I prepare for the TOEFL or IELTS? If you already read, speak, and understand English, you have done most of the preparatory work. If your English is a bit rusty, or if you are concerned about the test, you can do additional preparation for the test. As with the LSAT, there are plenty of resources that can help prepare you for the test, from tutors, to language classes, to materials specifically developed to aid you on the TOEFL or IELTS. You might start with this one. What is InitialView, and who has to worry about it? Some schools (such as Duke, Penn, Michigan, and UVA) use InitialView instead of the TOEFL or IELTS. InitialView is a Chinese service that provides “live, unscripted interviews” with English speakers. The interviews are recorded on video, allowing law schools to “determine the interviewee’s communication ability and soft skills.” The interviews are unscripted and start with general questions; the interviewers are trained to ask probing follow-up questions to ensure that applicants are not reading from a script. At the end of the interview, applicants have the opportunity to add anything they wish. InitialView will highlight one “particularly impressive” answer for each applicant. The process is designed to gauge your fluidity with speaking English, and is meant to detect scripted, nonspontaneous answers. The school receives this video and makes its evaluation based on your performance. The price is $150 for a single interview, and some schools, such as Duke, prefer InitialView to the TOEFL (requiring one or the other). This may be a good option if you are a spontaneous person who prefers conversing to test-taking, but might be best avoided if you are prone to anxiety or lose fluency when nervous. Regardless, you should ask your school(s) for guidance on whether InitialView is accepted and/or preferred. Is the LSAT different for international test-takers? The content of the LSAT is the same the world over, but the test dates vary depending on your location. Take note of the date(s) you will take the test, because this could affect your ability to apply for Early Decision. Test centers tend to be limited outside of the United States, with only a few available for the entire country (e.g., Korea and Japan have one location each, with only two administrations per year). Make sure to register as soon as you can; we know of students who had to fly to neighboring countries to take the LSAT on time! What about the LSAT writing sample? Most admissions officers read the writing samples of international applicants because they know that the writing portion is time-constrained and cannot be edited by a third party. If you submit strong essays but a weak LSAT writing sample, admissions officers may think twice about admitting you. We recommend that you practice LSAT writing portions until they consistently convey a strong grasp of the English language. What should international applicants do with their transcripts? Per the LSAC’s guidelines, your school should send them directly to the LSAC in a securely closed envelope, with the institution’s official stamp or seal placed across the closed flap. Note that documents issued to the student or sent from the student are unacceptable, as are loose documents inserted directly into an express mailer. All international educational records must be submitted in the original language. If the transcript or other required documents are not in English, a translation must be included. Please note: there are special application requirements for individuals educated in China and Cuba. Note that it may take up to two weeks for the LSAC to process an international transcript, and we’ve sometimes seen the LSAC reject international transcripts. We recommend that you send your transcripts as soon as possible so that transcript issues don’t delay your application. How does the LSAC evaluate transcripts from international schools? If you have a transcript from a school outside of America or Canada, the LSAC uses a service called AACRAO to translate your grades into one of the following categories: superior, above average, average, and below average. These categories are roughly equivalent to an A average, B average, C average, and D average, respectively. Note that your international transcript will not be translated into a 4.0-scale cumulative GPA. From an American law school’s perspective, you don’t have a GPA, and your college grades will not factor into a school’s reportable GPA median. Thus your grades will not affect a school’s U.S. News and World Report ranking. This can be both good and bad: on the one hand, if you have a great LSAT and average grades, your LSAT will carry the day and your grades won’t weigh you down like they would a domestic student. On the other hand, if you were relying on a fantastic transcript evaluation to make up for a low LSAT, you might be in for some disappointment. The lesson is that you need to make your LSAT score count! Unfortunately, international students tend to fare worse than domestic students with the same LSAT scores. We don’t know exactly why this is the case, but we have observed it both anecdotally and in a statistical analysis of hundreds of thousands of applications. It may be that being international causes you to do worse. For example, schools may be worried about your ability to secure funding for your law school education and therefore be more hesitant to admit you. It may also be the case that international applicants tend to write less strong essays in English, in which case an international applicant with an exceptional personal statement should not fare worse than a domestic applicant. Nevertheless, if your top LSAT score is above the median of a given school, you have a pretty good shot at admission. If your top LSAT score is below the median, you probably won’t get in. You can see the medians for every school here: https://7sage.com/top-law-school-admissions/. What can international applicants do to increase their chances? We offer consulting and editorial services here: https://7sage.com/admissions/enroll. How can international applicants finance their law school education? Some schools may require that you furnish proof of your ability to finance your education before they accept you. Unlike domestic students, international students are not eligible for federal government loans or Pell Grants. Most students will finance their legal education, in whole or in part, through private loans. Private loans should be available under the same conditions to domestic and international students. Depending on your LSAT and transcript evaluation, you may earn merit scholarships at your school of choice. Don’t forget to see our page on how to increase these award amounts to offset your tuition burden. Once you are accepted to a U.S. law school, you will be registered for the Student Exchange Visitor Information System (SEVIS), and must pay the SEVIS I-901 fee. At that point the school will issue you a Form I-20, which you may use to apply for a student “F-1” visa at a U.S. Embassy or Consulate. If English is not your first language, you should ask someone fluent in English to look over your submissions and give you feedback. That said, don’t let anyone put words in your mouth, or the admissions office may wonder if you wrote your essay yourself. Show your English writing competence, but don’t use ornate or flowery language. Your goal is to show that you can write and think in English, not that you’re a poet. (We have seen many attempts at ornate language backfire.) If you’re concerned about your tone, consider purchasing one of our one-time edits for a review. It’s probably more important for international students than for American students to show that they’re applying to law school for a specific purpose and with a specific goal. Tell the admissions office why you want a JD. The conventions of an American law school résumé may differ from the conventions that you’re used to. Don’t include a picture, an objective, or anything about high school. Learn more in our overview of law school résumés. Need more help? See our services.